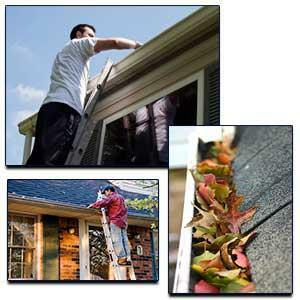 Gutter cleaning is a necessary part of your home's maintenance. Clogged gutters & downspouts can cause rain water to back up under shingles & overflow seeping into your homes roof & foundation. This can cause very costly deterioration and flooding. Keeping your gutters clean is a great way to avoid these problems. Rebel Exteriors Inc. has been cleaning and installing gutters for decades. Throughout the years, we have created a solid reputation for honesty, hard work and reliability. No matter if Rebel Exteriors Inc. is cleaning gutters, repairing gutters, or installing new gutters. Our services include gutter cleaning, gutter repair, and gutter installation. You can find detailed information about each of these services offered by our professionals at Rebel Exteriors Inc. on our website. When you choose Rebel Exteriors Inc. for your gutter cleaning, gutter repair, gutter installation, and other services, you can count on exceptional work and outstanding customer service. We always provide estimates for gutter cleaning, gutter installation, gutter repair, gutter guards and other services. Please contact us to schedule an estimate or service call in IL.